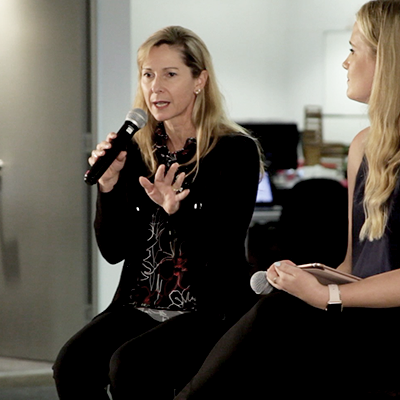 On Friday, March 23, the GetSmarter team were invited to a fireside chat session held by Rani Hammond, the Chief People Officer of 2U, Inc. (NASDAQ: TWOU), and Kim Kay, Head of Talent Management at GetSmarter. 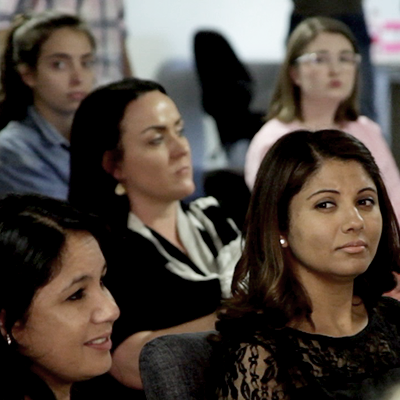 This is the second talk in a series of Women in Leadership events, hosted by GetSmarter. Rani is the first to be appointed to this newly created position at 2U, Inc. – effective October 9, 2017. She oversees global human resources, talent management, recruitment and total rewards. It was very purposeful. A strategy of embracing diversity of perspectives. The award itself was not something that we were looking for, but it was fabulous that we were recognised for that work. It’s a unicorn of an achievement for us in a market of competitive tech companies. Mentoring her team at 2U, Inc. I love engaging younger leaders on their pathways and being a sounding board to them. At 2U Inc. we are implementing regular ‘lunch and learns’, where we get together and talk about issues that are relevant to our employee base. I have a ‘pay it forward’ mindset, one that I look to spread equally amongst my team. I want my team out there talking and engaging with topics like women in leadership or career challenges. While I was working at Hilton, I was approached by the Head of HR (my boss) and he had asked me to step up into a Head of HR position for a medical device company (this company was owned by the same PE firm as Hilton). My husband and I discussed the opportunity, and he was confused as to why I wasn’t jumping after it. I’ve always been ambitious and driven, but I ended up saying ‘no’ to the opportunity for a number of non-legitimate reasons. After some self-reflection, I realised was really scared, I was terrified I would fail and that’s not me at all. It’s one of those defining moments where I looked back and regretted that I didn’t take the chance. You need to self-regulate, you shouldn’t need your boss to tell you to how to prioritise. Set the boundaries that work for you and align them to meet your family and business needs and always make sure you leave time for yourself. I think each industry and time period has unique challenges. Clearly there are some industries and functions that are more male-dominated. The dynamic of an organisation constantly shifts and changes. Many organisations are taking note of the statistics, and encouraging that. We have a decent way to go as a whole, but we’re headed in the right direction. A concept where an individual has the inability to internalise or take credit for their accomplishments and have a constant fear of being exposed as fraudulent. When starting a new role or position at a company this can commonly take place, you need to trust in the fact that the worst that can happen is you’ll just have to figure it out once or twice. The biggest lesson here is you don’t have to feel like you can’t do it, before you haven’t done it. I believe everyone has something to offer you, and you have something to offer them. I like to immerse myself in organisations, cities, people and cultures. If I could go back, I would network more. I feel that more keenly since I moved as I didn’t take advantage of it enough when I was in Australia. Also, I’d be a lot more self-aware in the holes or gaps in my skill sets. It’s important to gain the support of a mentor and, in turn, build a support network in a way that fosters that belief. Be really clear in what you’re expecting and don’t be afraid to ask for mentorship and help. I’ve had people say no in the past, but those experiences are few and far between. The mutual benefit you’ll gain also doesn’t only come from other female leaders, male colleagues can be extremely supportive too. 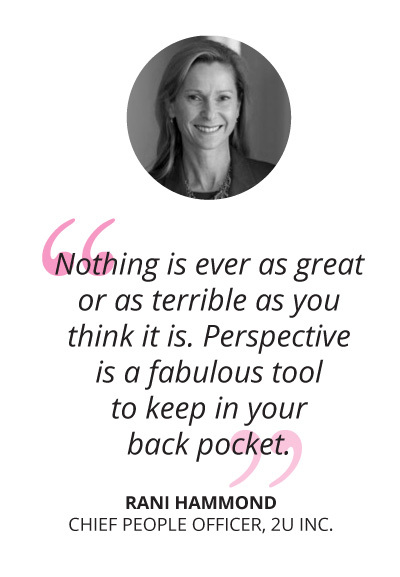 Perspective is a fabulous tool to keep in your back pocket and I think time, a little bit of maturity, and experiencing some setbacks helps you to develop an authentic self. Nothing is ever as great or as terrible as you think it is. When I moved to America I decided to start a Masters in Accountancy. I haven’t finished it yet but, at that point in time, I felt I needed to get moving and do something to create a sense of identity. I believe it’s important to pick your path purposefully, like when you rock climb. You’re looking ahead, and you’re reaching, and you make progress happen through the moves you make. In our lifetime, you’ll move and work in different places, and you’re the guardians on how this will move forward. It’s inherent in all of us to create the environment our sons and daughters will move into. We’re all different – our perspectives, our lives, our learning, we’re all equally valuable. No one should ever feel that they can’t be their truest self. Want access to inspiring talks by female leaders during your lunch break? GetSmarter currently has over 100 vacancies in Cape Town, South Africa.